INTERESTING ARTICLES: After ‘major escalation’ in US-China trade war, what happens next? Hong Kong (CNN) — The trade war between the United States and China just got a lot bigger after both sides announced their broadest waves of tariffs yet. The new tariffs announced by Washington and Beijing this week “mark a major escalation of their conflict that will hit global economic growth,” Louis Kuijs, head of Asia Economics at research firm Oxford Economics, said in a note. The Chinese government said late Tuesday that it would impose tariffs on US goods worth $60 billion following the Trump administration’s announcement that it was hitting $200 billion worth of Chinese goods with new tariffs. China’s new tariffs will be levied at rates of 5% or 10%, depending on the product, from the same date, the Chinese government said. More than 5,000 US goods will be affected, including meat, nuts, alcoholic drinks, chemicals, clothes, machinery, furniture and auto parts. The clash between the world’s top two economies is already hurting companies on both sides of the Pacific. The latest US move means roughly half of the products that China sells to the United States each year will be hit by American tariffs. President Donald Trump on Tuesday defended the latest trade move against Beijing. The Trump administration is trying to pressure Beijing to change its behavior, accusing it of overseeing the theft of US intellectual property and boosting Chinese companies through aggressive industrial policies. The Chinese government dismisses the criticism as groundless, even though American and European firms operating in China frequently complain about the issues. China had already gone blow for blow with the United States on tariffs on more than $50 billion of each other’s goods this year. But its options for responding further are getting increasingly complicated. The White House warned Monday that it would respond to any retaliation from Beijing with yet more tariffs on roughly $267 billion of Chinese exports. That would mean the US measures effectively cover all the goods China sells to the United States each year (the total for 2017 was about $506 billion). China has a smaller target to aim for in response: it bought around $130 billion of US products last year, according to US government figures. 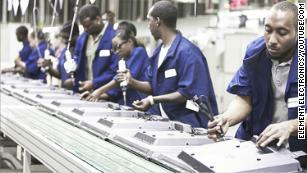 The tariffs announced by Beijing on Tuesday reflect the dwindling amount of goods on which it can impose new tariffs. The tariff range of 5% to 10% is lower than the 5%-to-25% range China had threatened in early August. That leaves it the option of ramping up the rates at the end of the year when the US tariffs rise from 10% to 25%. “China has been unable to match the US dollar-for-dollar in this round of tariffs, so a key question is what other steps China might take,” Mark Williams, chief China economist at research firm Capital Economics, wrote in a note. Analysts have suggested that after Beijing runs out of US goods to target, it could go after major American companies that do business in China, such as Apple and Boeing. China has a track record of such behavior, including making life difficult for South Korean firms because of a political dispute last year with South Korea’s government over a US missile defense system. Some US companies operating in China have already reported increased hurdles, including delays at customs and more inspections by regulators, according to a recent survey by two American chambers of commerce based in the country. But uncertainty remains over whether Chinese leaders will aggressively pursue that approach on wider scale — by encouraging consumer boycotts of US brands or disrupting supply chains. The escalating waves of tariffs have prompted international companies to talk about shifting business out of China to avoid the extra taxes. By hounding American companies that have brought investment and jobs to the Chinese economy, Beijing risks making the country even less appealing for foreign firms. “They are going to try to show they will stand up to the US and not just be pushed around, but I don’t think they want to be seen as escalating things,” Stratford said Tuesday during a panel discussion at a conference of business and political leaders in the Chinese city of Tianjin. Before the latest round of tariff announcements, China and the United had been preparing to hold a new round of talks this month. It’s unclear whether those will now take place. A Chinese Foreign Ministry spokesman said Tuesday that Trump’s latest tariff salvo “has brought uncertainty” to the planned negotiations, but he stopped short of saying that Beijing was pulling out. 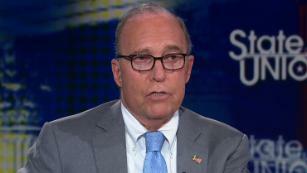 Ahead of Trump’s tariff announcement late Monday, top White House economic adviser Larry Kudlow said the United States was still willing to continue its dialogue with China. “We stand ready to negotiate with China anytime, if they are willing to engage in serious talks,” Kudlow said at the Economic Club of New York. Several previous rounds of talks between the two sides failed to achieve any breakthroughs. Analysts are skeptical China will be willing or able to do enough to satisfy the Trump administration on some of its key concerns, including Chinese efforts to get hold of US technology and Beijing’s ambitious industrial policies. CNN’s Serenitie Wang, Yong Xiong, Matt Rivers, Donna Borak, Katie Lobosco and Kevin Liptak contributed to this report.